Lori directs and supervises all accounting, financial reporting and human resource functions. She works closely with our partners, lenders and staff to meet their specific reporting needs. Lori and her team work closely with the executive team, the property management group and the on-site teams to ensure timely and accurate reporting. 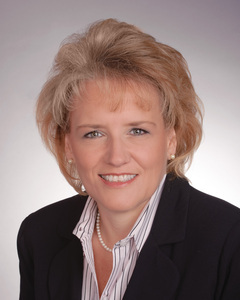 Lori has a wide range of knowledge in multifamily software applications including MRI, OneSite, Yardi and JD Edwards. In addition to accounting, Lori brings to GWR over 30 years of experience in many aspects of the multifamily industry including acquisitions, due diligence, property financing, and software implementation. Prior to GWR, Lori was Controller for Arcadian Real Estate Group after spending many years at Alliance Residential Management. She has experience with financial reporting for over 200 apartment communities and 45 partnerships, including a staff of 25 accountants and clerks. Lori was also previously with Greystar Real Estate Partners with a staff of 14, responsible for the financial reporting for both owned and managed properties. Lori has spent most of her life in the Houston area, and resides in Missouri City with her husband and daughter.